Wedding season is upon us and Torrid just opened up shop to their new bridal collection for plus size brides. Torrid decided to create their own wedding shop after seeing customers wear some of their white dresses on their wedding day. This capsule collection was designed for women to have pieces for the wedding day and all the events before the big day. Here’s what plus size brides will find in Torrid’s wedding shop. There’s wedding gowns ranging from lace midi dresses to fit and flare skater dresses. 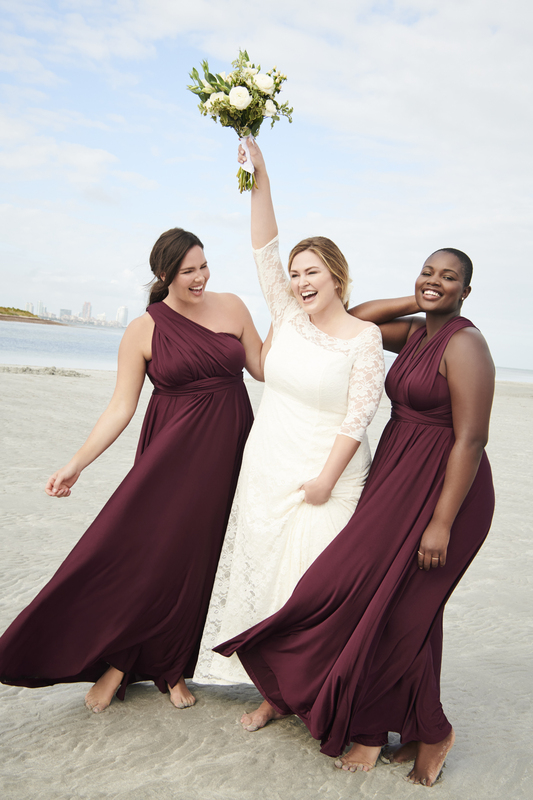 If you have plus size bridesmaids, Torrid also offers dresses for your bridal party. Your bridesmaids will be pleased to know that the dresses are quite chic. Something they can truly wear again. In addition, the wedding shop includes bridal accessories like a rhinestone beaded belt, choker, and headband. If you happen to not be a bride but you were invited to a wedding, Torrid also offers a slew of pretty dresses for wedding guests. I read this article and found it very interesting, thought it might be something for you. The article is called Torrid Launches New Wedding Shop For Plus Size Brides and is located at https://stylishcurves.com/torrid-launches-new-wedding-shop-for-plus-size-brides/.